All users, who visit your online store will not see your products prices and they will not be able to order, until they will be registered and you will validate them. 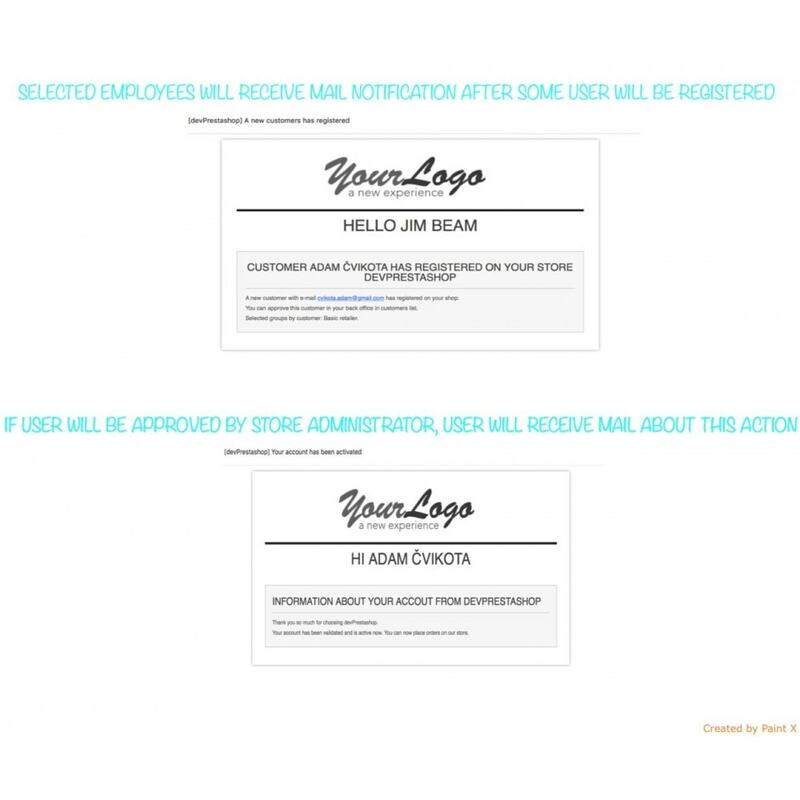 After you will validate customer, the customer will receive a notification by email. 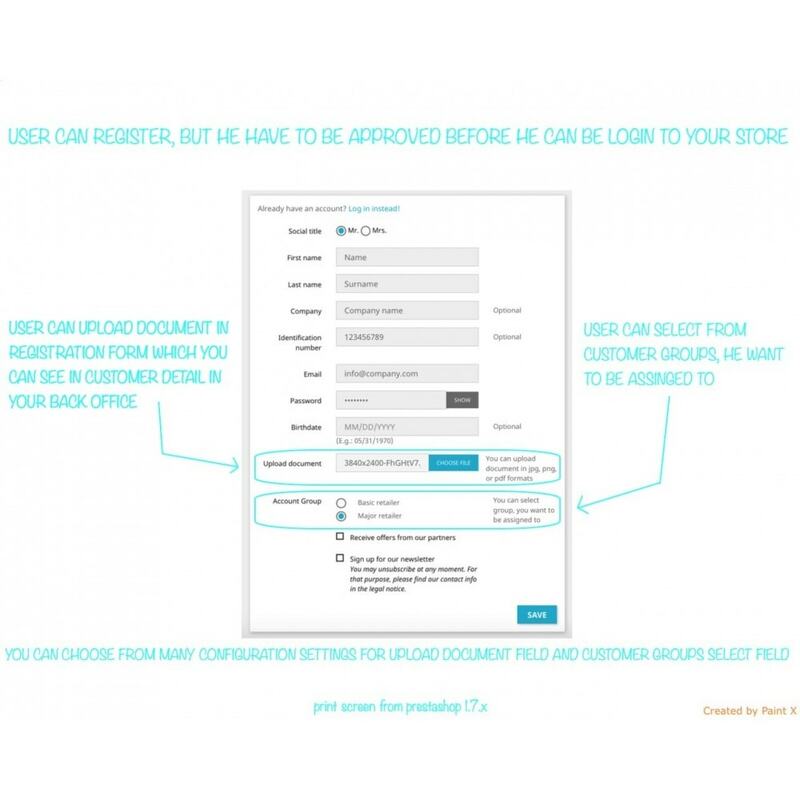 Also you will receive an email when a new customer is registered. 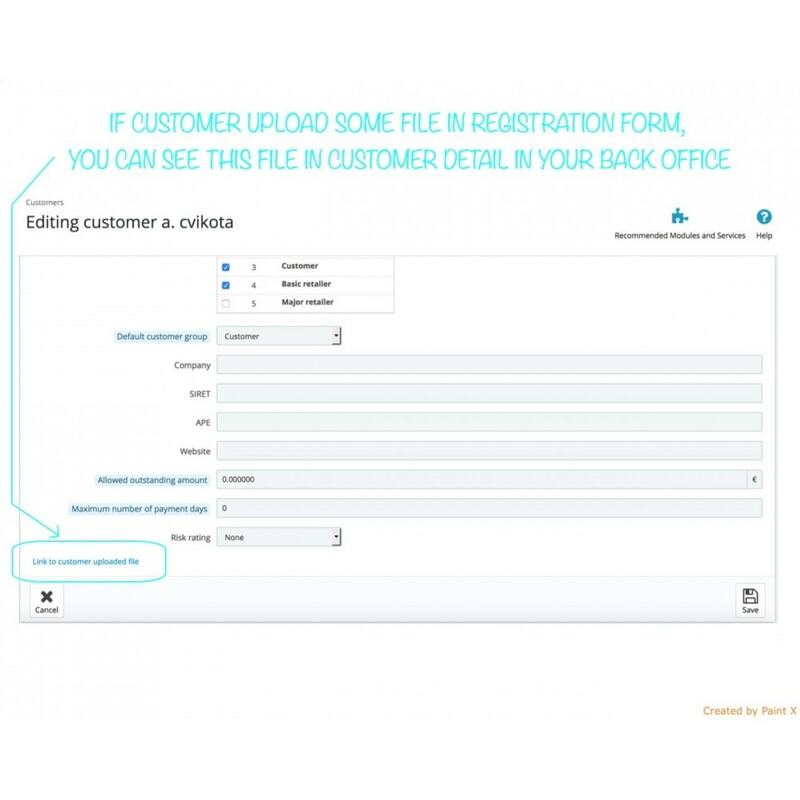 Even you can add field to upload file to registration form. 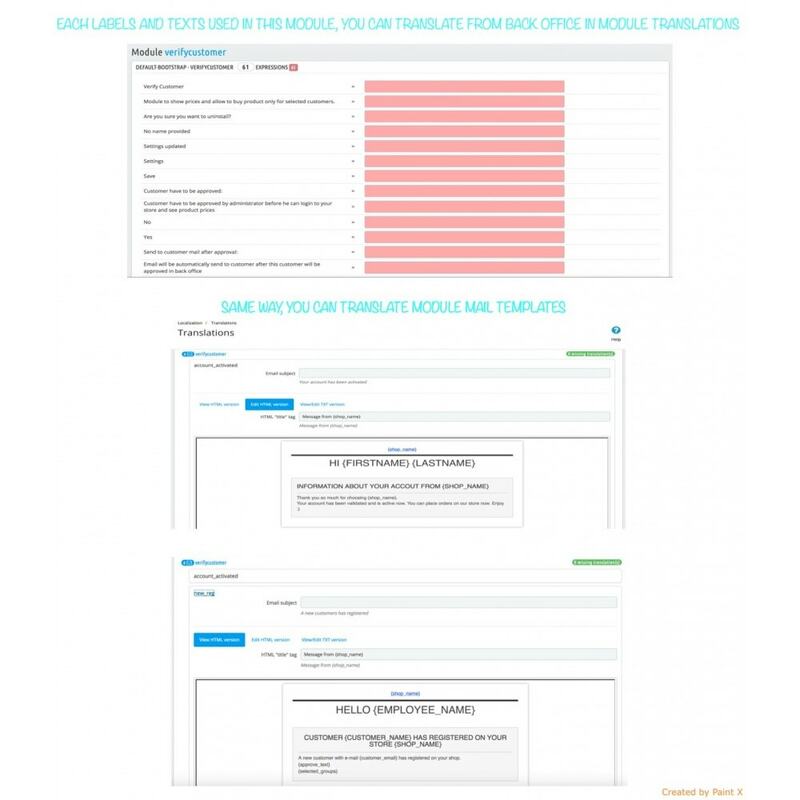 You customer can send you document this way and you can see or download it in customer detail in your back office. In configuration on this module, you can set lot of options about uploading file from registration form (if required, max file size, allowed extensions, ...). 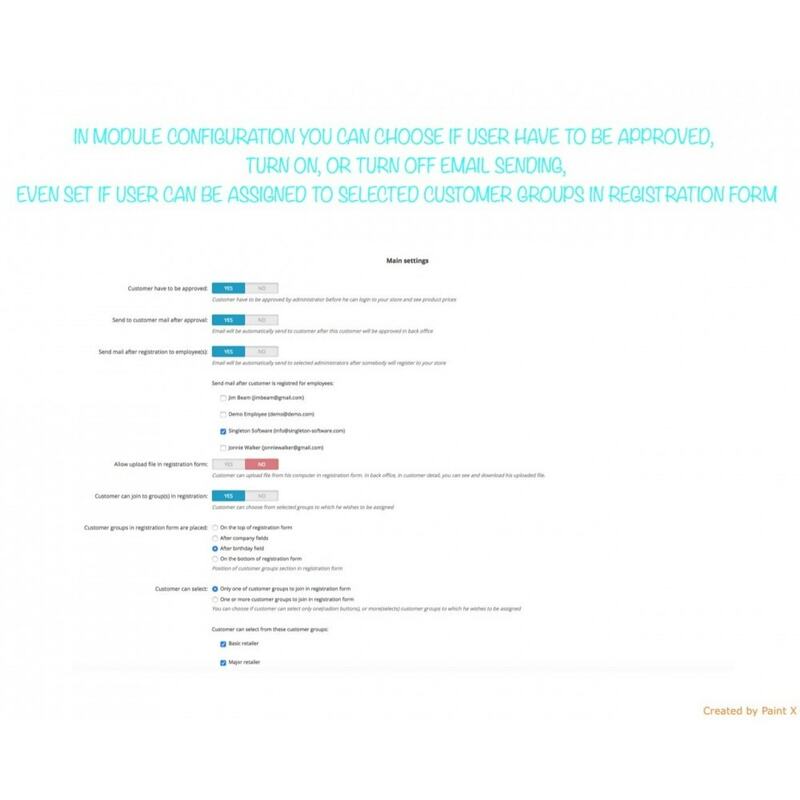 Also, you can give your customers ability to assign themselves to the one or more groups in registration process (customer can select his group). Than you can set for example different prices for each one customer group. 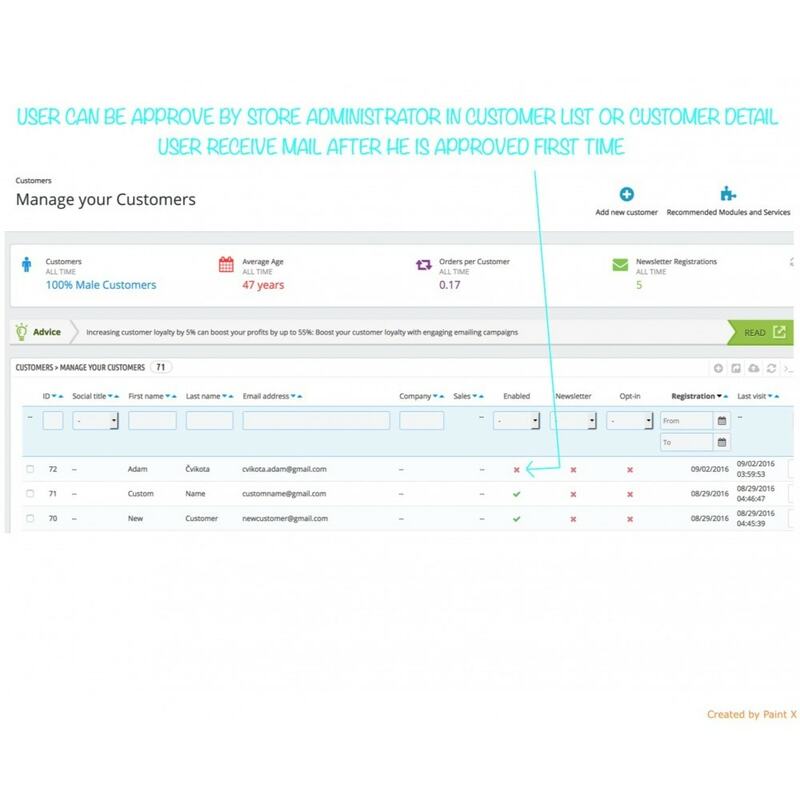 Even you can set automatically approving for customers, who choose selected groups in registration form. 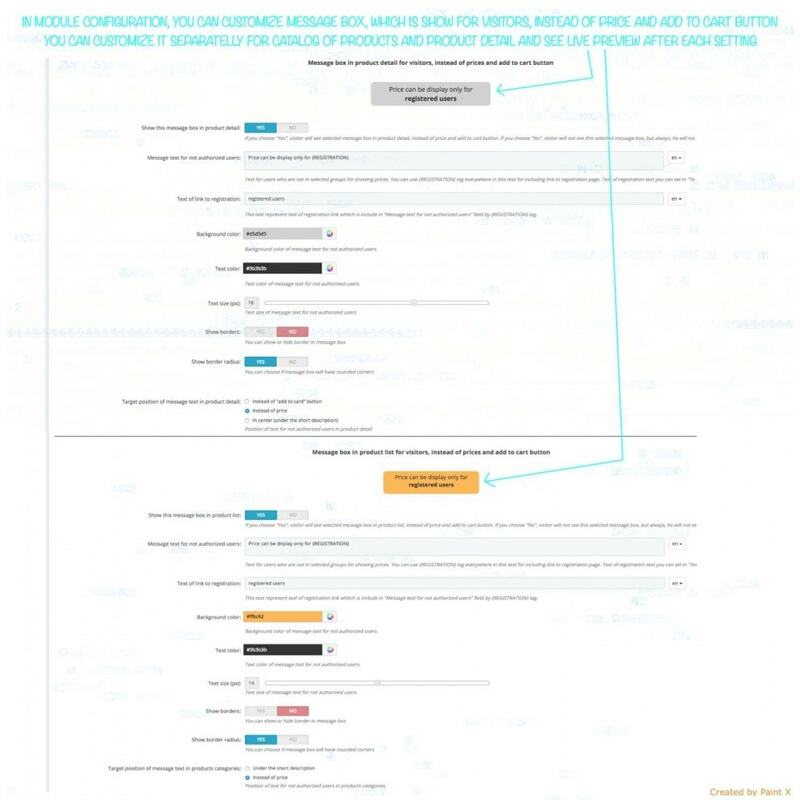 Auto approving groups you can select in module configuration. For visitors and not approved customers, you can places your own custom text instead product prices and add to cart buttons. 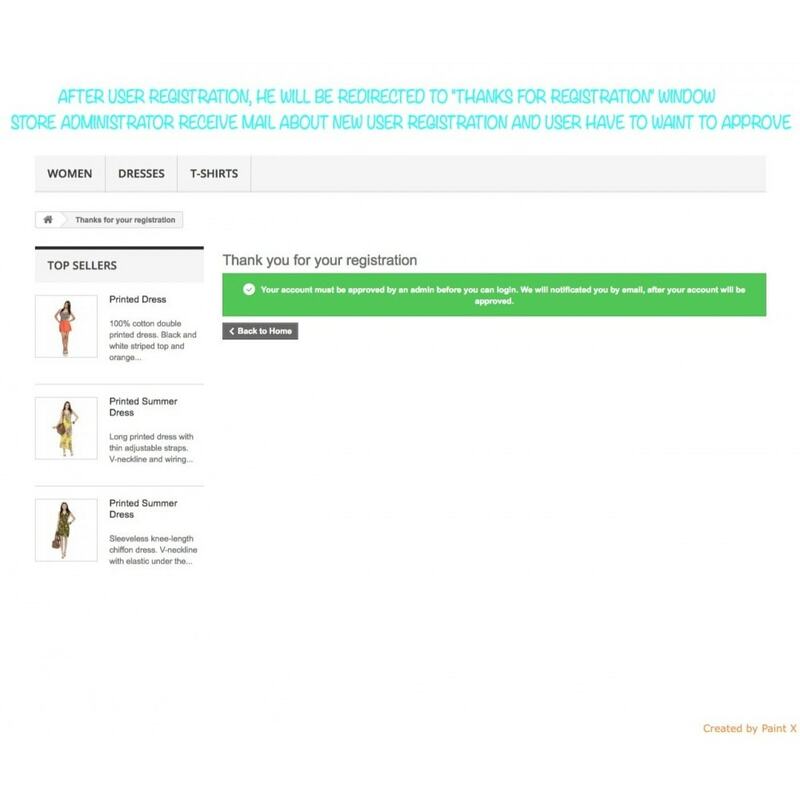 To this custom text, you can also placed link to registration form. This module support multi-store. You can configurate this module for each your store separatelly.